Designed and weighted like a high-quality ink pen, the Stylus feels great in hand and is perfect for writing and drawing directly on your tablet. 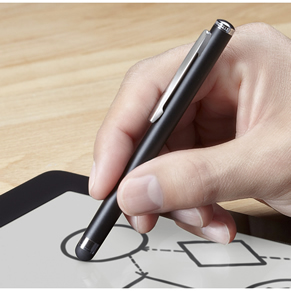 The rubber tip glides smoothly over any tablet screen so you can seamlessly jot down notes and illustrations. 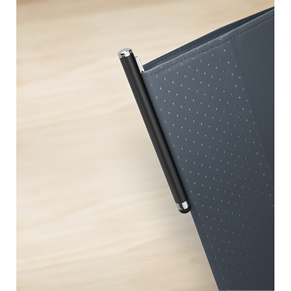 The Stylus clip is specially sized to attach easily and securely to a folio. Whether you’re in the office, at home or out and about, it’s convenient to take along with your tablet.